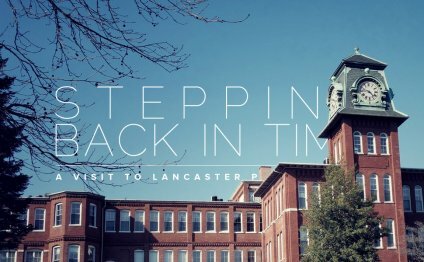 Founded in Lancaster, Pennsylvania, in 1892. Hamilton Produced its first watch in 1893, designed by H.J. Cain, one of the company's founding members. 1893 Hamilton introduces "The Broadway Limited", a railroad watch that was dubbed "the watch of Railroad accuracy". Initially manufactured to provide the country's railroads with reliable timing devices, the Hamilton railroad pocket watch was adopted as the official watch of the American Expeditionary Forces worldwide. A wrist watch version of the railroad watch was issued to General Pershing and his doughboys in WWI, accompanied Admiral Byrd on his expeditions to the North and South Poles, served the Picards well on their first balloon ascent into the stratosphere, and was on the wrist of the first American to scale Mount Everest. 1928 The Yankees win the world series. Hamilton introduces the Yankee Watch, establishing it as a leader in watch design. Hamilton helped America keep pace with the energy of a new lifestyle. New Hamilton designs, such as the Yankee and the Piping Rock, projected the independant spirit of the day. 1930 Hamilton continues to capture the soaring spirit of the 1930's. The world turns to the skies as commercial aviation takes off. Hamilton soon becomes the official timepiece of the most famous industry leaders - TWA, Eastern, United and Northwest. 1940 WWII Hamilton stops production of watches for consumers and creates new timepieces exclusively for military use. Close to one million Hamilton military watches are produced. Today, the 'Hack' has become very collectible among watch and military collectors. 1957 Hamilton's leadership in engineering and innovation creates a significant breakthrough in timekeeping. Hamilton introduces the first electric watch in 1957. The Ventura becomes an instant success. See "Hamilton Electric"
1972 The furure is close at hand and Hamilton shocks the world with a completely new kind of watch. Manufactured at its headquarters in Pennsylvania, Hamilton introduces the world's first digital watch - the Pulsar.